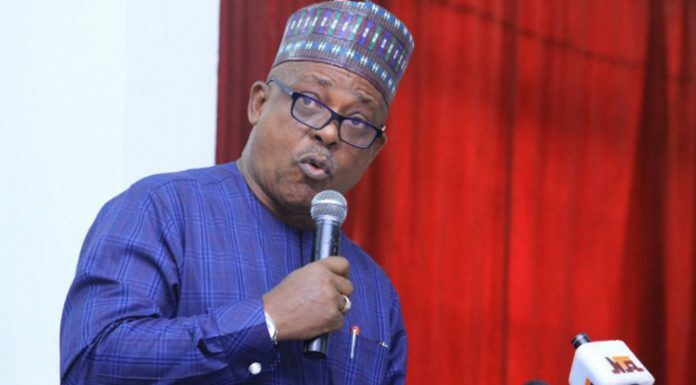 The National Chairman of the Peoples Democratic Party (PDP), Uche Secondus, has accused the Independent National Electoral Commission (INEC) of designing special card reader and result sheets for the ruling All Progressives Congress (APC). But in a swift reaction, the Chief Press Secretary to INEC chairman, Mr. Rotimi Oyekanmi, said there was no iota of truth in what Secondus said, adding that the commission will not be joining issues with any political party. The All Progressives Congress (APC) has also accused the main opposition party of engaging in propaganda and dissemination of fake information as a means of scoring cheap political points. Secondus stated this while hosting election team of the Economic Community of West Africa States (ECOWAS) led by Mohammad Conteh at the partyâ€™s national campaign headquarters in Maitama, Abuja. The PDP chairman alleged that the electoral commission is working in conjunction with the ruling APC to rig the elections in 2019. He therefore cautioned that manipulation of election in 2019 would be a recipe for crisis in the country, stressing that INEC chairman would be held accountable. The PDP chairman in a statement yesterday by his Media Adviser, Ike Abonyi, alleged that the commission used the governorship elections in Ekiti and Osun States as rehearsal to practice their rigging strategy for 2019. He stated: â€œThey have finished their rigging arrangements with preloaded cards and special election result sheets all doctored to favour the ruling APC. â€œThe INEC chairman has no strong will to follow our electoral laws and constitution as well as the laid down international standards in his processes towards 2019, and we want to let the world know this before it happens. Secondus alleged that the commissionâ€™s rigging agenda is being propelled by the security agencies especially with the current Inspector General of Police (IG) who he said has proved to be the most violent bias police boss in the country. He noted that his party was using the INEC template they saw in Ektiti and Osun States to reiterate their lack of confidence in the commission as nothing has happened to show that there is going to do anything different from what they did in those two states. However, the Chief Press Secretary to INEC chairman, Mr. Rotimi Oyekanmi, said there was no iota of truth in what Secondus said, adding that the commission will not be joining issues with any political party. Also, the APC has accused the PDP of engaging in propaganda and dissemination of fake information as a means of scoring cheap political points. In a statement issued by its National Publicity Secretary, Mallam Lanre Isa-Onilu, the ruling party said rather than focus on development issues, the PDP and its agents have chosen to populate the mainstream and social media space with ludicrous fake news and infantile conspiracy theories, moving from one absurdity to another. â€œDisturbingly, the countryâ€™s main opposition, PDP, and its discredited agents have continued to deploy the loathsome strategy of fake news, misinformation and distortion of facts as focal campaign strategies for the 2019 elections,â€ it said. APC said it is not surprised at the PDPâ€™s typical theatrics in an attempt to evade scrutiny for its 16 years of bad governance, adding that it is instructive to the electorate that no lessons have been learnt by the prodigal party. According to the ruling party, â€œIt is indeed clear to the electorate that the PDP is not a party to either be trusted or taken seriously as it has missed out on the opportunity to apologise and show remorse for the cruelty it wrought on our country while in power.